Craft cocktails abound at this East Sixth lounge. 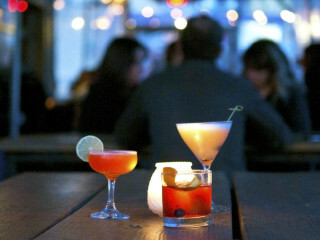 While a portrait of Cesar Chavez looks on, take in the sultry atmosphere with an old fashioned or a martini. 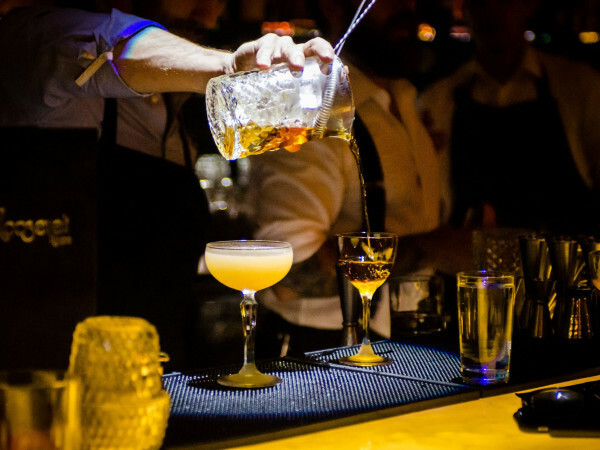 Consistently rated one of the best cocktail lounges in the city, these drinks are worth the cost. Hungry? The Thai-Kun food truck is parked nearby. For taste from south of the border, head upstairs to the cozy, Oaxacan-style mezcalería.